BROTHER DB2-B755 Mark 2 (Also DB2-B714-3). 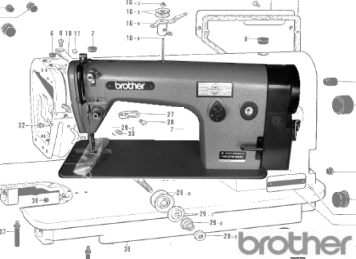 High Speed Lockstitch Machine. Built In Lubrication System (Self Oiler). We hold from stock a wide range of Parts and accessories for this machine for despatch today. This is just a selection of what we hold for this model. Can't See Your Part or unsure of what you need, then check out the PARTS BOOK below or call us and we'll sort it.